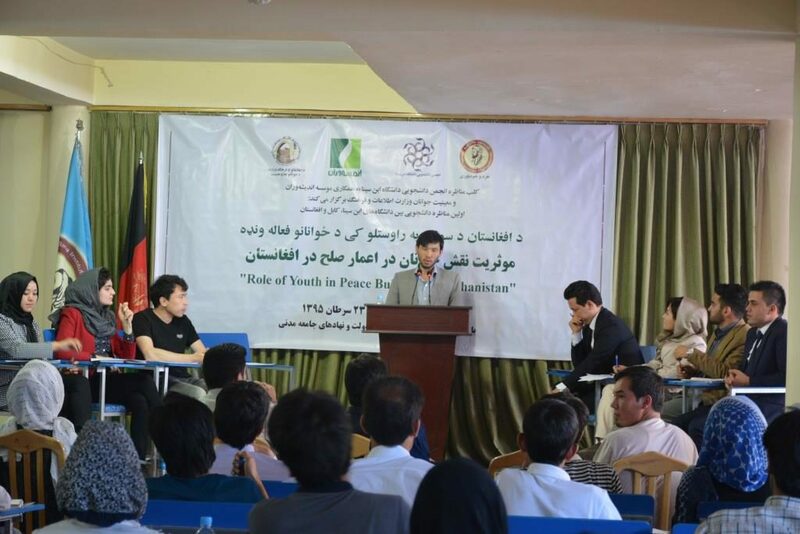 On Wednesday, 13 July 2016, a students’ debate session, titled as “Gauging Effectiveness of Youth Role in Peace Building in Afghanistan”, was conducted among students from Avicenna, Kabul and Afghanistan universities. The session was facilitated by AU student’s association and AndishaVaran Institute. 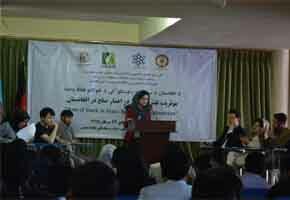 The event was inaugurated by Dr. Shafaq Khavati’s speech on “the Stance of Debate in Islamic Civilization”. Two parties, comprising of four groups, were formed to represent ideas in favor of and against the case. The agreeing party argued in favor of effective youth role in building peace in the country and emphasized that Afghanistan could optimize use of the youth population to foster the peace process. While the disagreeing party mentioned youth’s marginal role in community and underrated their contribution to the nation-wide processes such as peace. They argued that peace is mainly a political agenda and youth are not in charge of political positions, so they could not be of major assistance to the process. 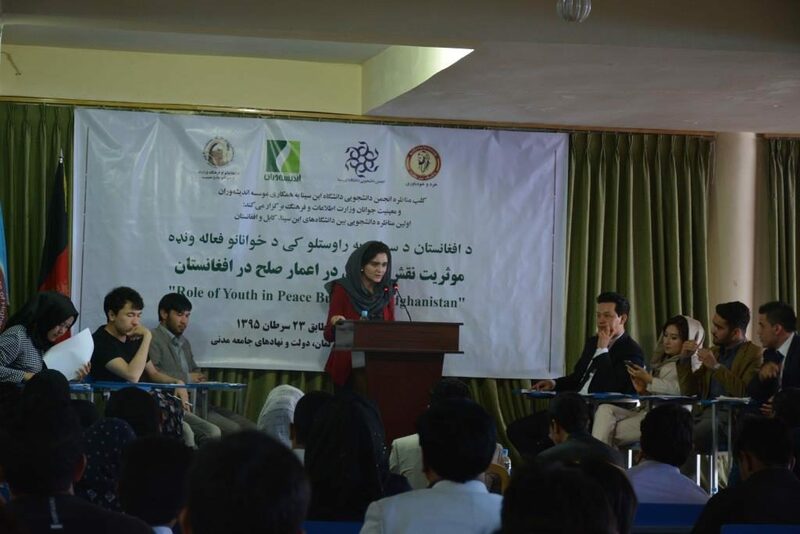 Ms. Shekofa Amiri and Ms. Mariam Rayed, from Kabul University, won the debate.